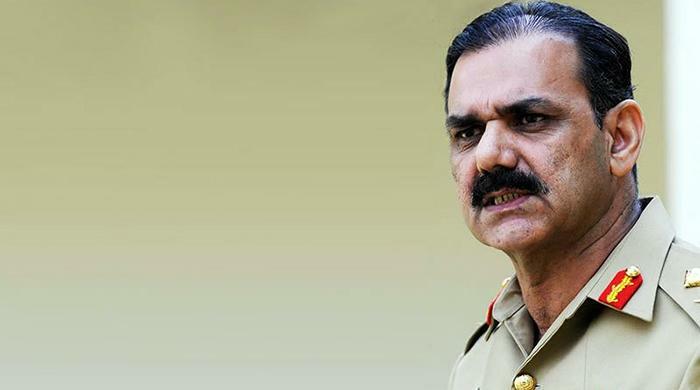 RAWALPINDI: Director General Inter Services Public Relations (ISPR) Lt-Gen Asim Bajwa on Tuesday confirmed that six officers of the Pakistan Army were punished over corruption charges, without elaborating on nature of charges which led to the punishments. On April 22, local media reported that Chief of the Army Staff General Raheel Sharif sent six army officers on forced retirement, including one lieutenant general and one major general. The sacked officers also included three brigadiers and one colonel. The officers served in the Frontier Corps (FC) in Balochistan. However, the military’s media wing, the Inter-Services Public Relations, didn’t confirm the reports. Speaking to a private TV channel late on Tuesday, Lt-Gen Asim Bajwa said the six officers were punished in a same case after conclusion of the inquiry against them. Bajwa rejected media reports that any inquiry was being held against former Karachi corps commander Lt-Gen Sajjad Ghani and former Lahore Corps Commander Lt-Gen Naveed Zaman. “All reports in this regard are baseless,” he said. Bajwa went on to say that the Army has a system of accountability which is independent in carrying out inquiry in light of evidence. “It’s an institutional drive against corruption. An entire cell has been operational for cleansing the army of corruption,” said the director general of Pakistan Army’s media wing. He added that the Army Chief’s decision of sending six corrupt officers on forced retirement was being applauded within the army ranks. The top names in the list of sacked officers included former Inspector-General Frontier Corps (IG FC) Balochistan Lieutenant-General Obaidullah Khattak, and Major-General Ijaz Shahid. Other senior names include Brigadier Asad Shahzada, Brigadier Amir, Brigadier Saifullah and Colonel Haider. According to sources, the senior officers were stripped of ranks, and perks and privileges they were entitled to. The officers will only continue to receive their pensions and medical facilities. The unprecedented move came days after General Raheel Sharif said that the ongoing war against terrorism and extremism cannot bring enduring peace and stability until the menace of corruption is uprooted from the country. Across the board accountability is necessary for the solidarity, integrity and prosperity of Pakistan, said the Army chief while speaking during a visit to the Signal Regimental Centre in Kohat last month. The "ongoing war against terrorism and extremism being fought with the backing of entire nation cannot bring enduring peace and stability unless the menace of corruption is not uprooted. Therefore, across the board accountability is necessary for the solidarity, integrity and prosperity of Pakistan. "Pakistan Armed Forces will fully support every meaningful effort in that direction, which would ensure a better future for our next generations,” he had said.